Steve and Barbie Nolte are proud to present Pro-Hunts.com Check it out and drop us a line to let us know what you think! 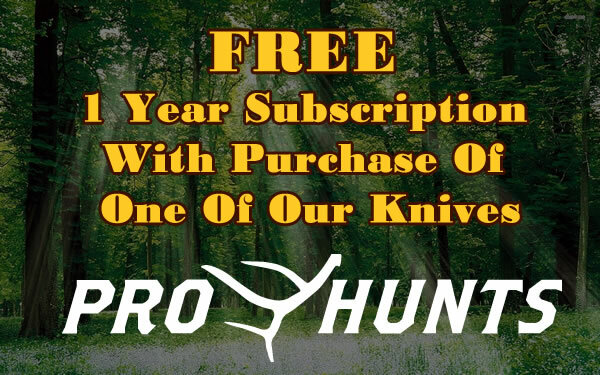 Buy one of our knives and receive a free 1 year subscription to Pro-Hunts! Steve is an imaginative knife maker who is driven by an incredible passion for self-expression through his work. His works are often noted for their unique style, elegance, and technique. Steve has developed a beautiful style that blends steel, stone, bone and wood into one of a kind creations. His use of vibrant colors and strong lines make his work stand out among other knife makers due to his innovative handle designs. .
Steve was born in 1952 in Fort Smith, Arkansas, he had a long career in the burglar and fire alarm business. After retiring boredom got the better of him and he started knife making in 2008. Steve is a all or none guy so his passion for knife making puts him in his shop anytime he can get there. After a year or so of working entirely on his own he met RW Wilson, and old timer. “RW has been my mentor and has helped me more than I can thank him for. I also have had opportunities to work with other knife makers that have had a great impact on me. Brad Vice from Alabama Damascus continues to give me pointers and furnish me steel. A big thanks to all you guys”! Ready to see samples of Steve's work?